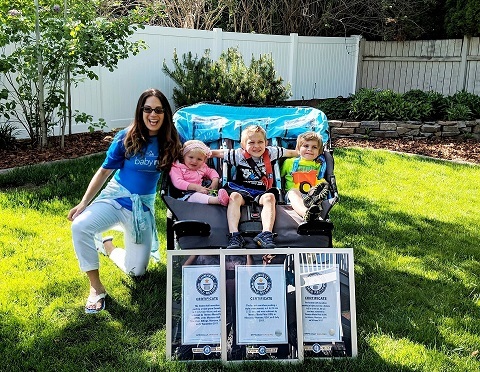 Theresa Marie Hunter Pitts from Kalispell, Montana, has been dubbed such titles as “the Super Mom,” or “the Flying Mom,” or as “the fastest mom in the world” and rightfully so. 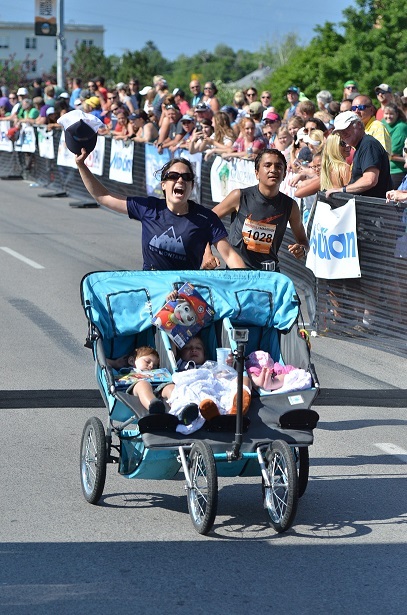 On 9 July 2017, in Missoula, Montana, running her first Marathon, she and her little team: Evan (4 years old), Anders (2 years old), and Avrielle (Avi, 5 months old), set the Guinness World Record for running the “fastest marathon pushing a triple stroller,” the first to ever brave such an adventurous attempt! She crossed the finish line with an amazing time of 4:25:37. The news quickly spread, not just across our nation, but internationally as well. Theresa is a full-time mother and homemaker. She is married to Ryan Pitts and works in Emergency Medicine. She is the mother of eight children whose ages range from 18 years to 18 months old. She and Ryan are anxiously awaiting the arrival of child #9, the newest little teammate and future stroller running buddy, due in February 2019. I’ve always been an outdoorsy person, but I didn’t really discover my passion for running until 2013 after my sixth child was born and was looking for a way to stay both physically and mentally healthy and well-balanced. With our busy household, I found that the only way I could get out on regular runs was if I brought my children along with me, so that’s what I did! I soon realized how much my littles enjoyed going on our nature runs, I loved their company, and I fell in love with stroller running. What had started out as a necessity became my preferred way to train. My children and I chat and laugh and sing, we often stop at the park during our runs, and just have the greatest time together! 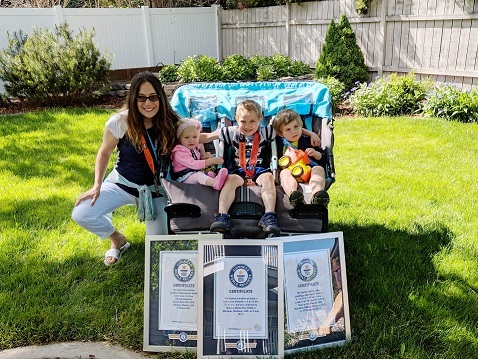 She had been running with her youngest two boys for quite some time using a double stroller, and when their newest little sister was born they naturally wanted her to come along, so they upgraded to a triple stroller. Around that same time, she heard about a mom breaking the world record for the fastest half-marathon while pushing a single stroller. Half-jokingly she thought to herself, “she did it with one child … why not three? !” With the encouragement of family and friends she sent in an application to Guinness World Records and started to prepare for the challenge ahead. 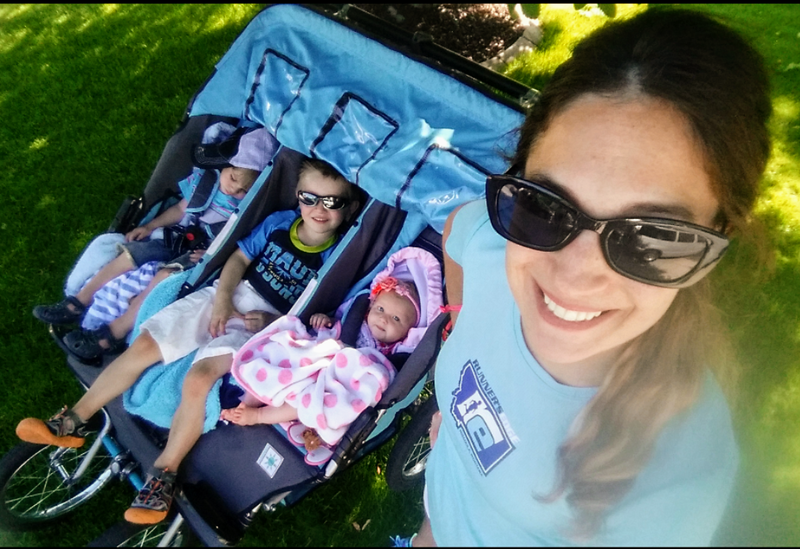 On 10 June 2017, Theresa and her little team put all their preparation into action and broke the record for running the “fastest half marathon pushing a triple pram” at the Governor’s Cup in Helena, Montana. They had no idea at the time that there was even another record out there. Winning the half-marathon gave her and her team the confidence to prepare for their next challenge which her kids appropriately dubbed “The Big Race.” The challenge that lay ahead was to set a new world record by running the “fastest marathon pushing a triple pram.” The goal was to run the race in under 4:30:00 – the qualifying mark set by Guinness World Records. Early on the morning of 9 July 2017, she and her little team lined up at the starting line of the Missoula Marathon. 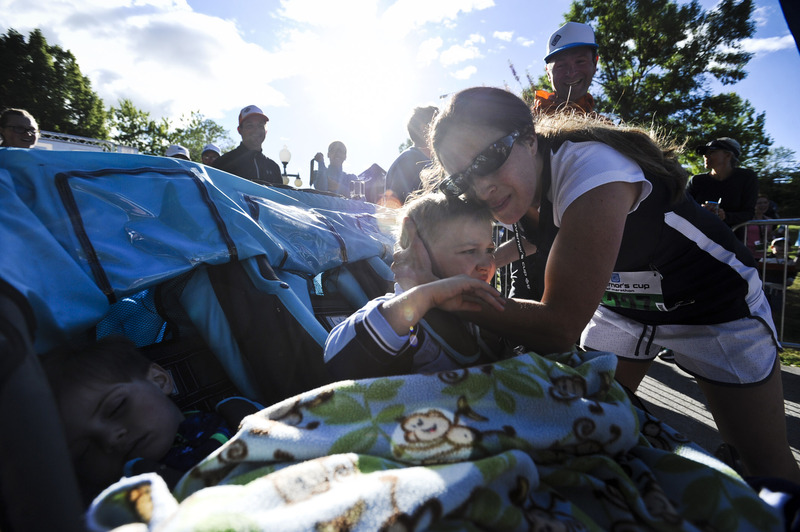 The gun fired, and with her three little ones in tow, along with snacks, bottles, diapers, fidget spinners, and all the interesting additional supplies needed, she started the long 26.2-mile journey. Many friends, family members, and new friends around the world who knew of their amazing story were there to cheer them on and she could feel their great love and support along the trail. I had lost track of time and wasn’t sure how close to the qualifying mark we were. 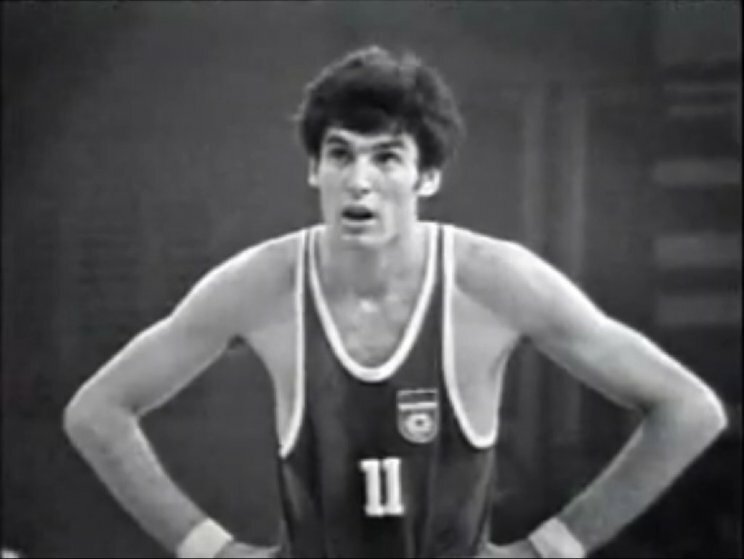 But no matter the time I was determined to fight to the end and give it everything I had. I rounded the last corner, pushed down the final stretch, and couldn’t believe my eyes as I looked up to see the time on the clock as we crossed the finish line, coming in at an official 4:25:37. We did it. I was filled with a mix of emotions: excitement, relief, joy, and disbelief as I gave my three little ones big hugs and kisses, and medals were placed around our necks. Two months later, Theresa and her little team ventured out again in order to help raise funds to put towards the hurricane and fire relief efforts, and serve as a reminder that “in order to see the rainbows, we must first feel the rain.” With the Lord’s help she found ways to achieve, and maintain, a very healthy and well-balanced state of being after struggling many years with her own difficult and dark battles with mental illness and ended up beating their previous half marathon record at the Montana marathon in Billings, Montana, coming in at 1:57:49, earning them a 3rd certificate from Guinness World Records! 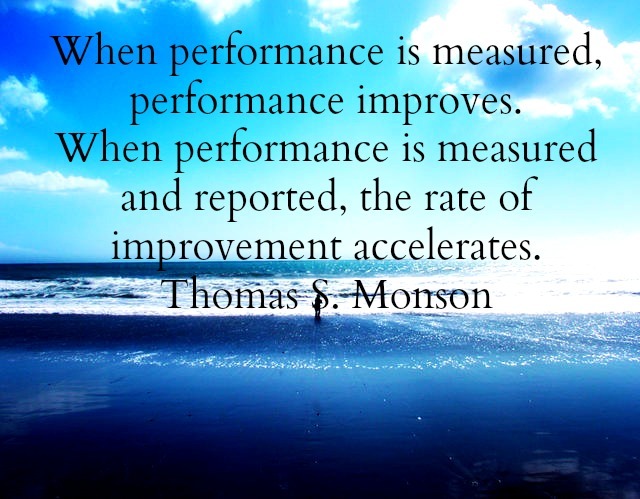 My faith in Jesus Christ and his beautiful Gospel has led me to rise above my default nature to a higher standard and continually motivates me to be a better person, to work harder, and to reach higher in everything I do. Knowing that God can create a much better, happier story out of my life than whatever plan I could come up with on my own, I have lived my life ‘God directed’, trusting and knowing that as I follow His lead I will never look back with regret. It gives me so much confidence to know that there is a higher power out there who is ultimately in control and that he loves us, wants the very best for us, and is there to help us every step of the way.